Do you sometimes feel like you never have enough money for shoes? 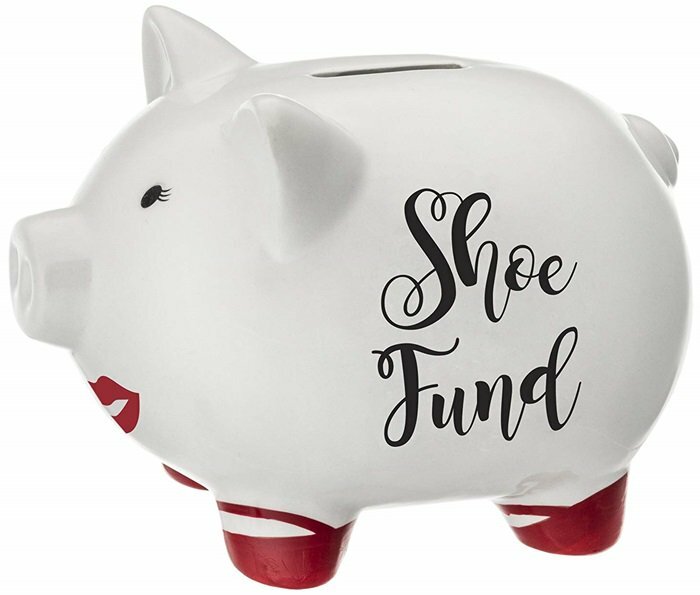 Or perhaps you know a fellow shoe lover who could need some help to save some cash for her next shoe purchase? 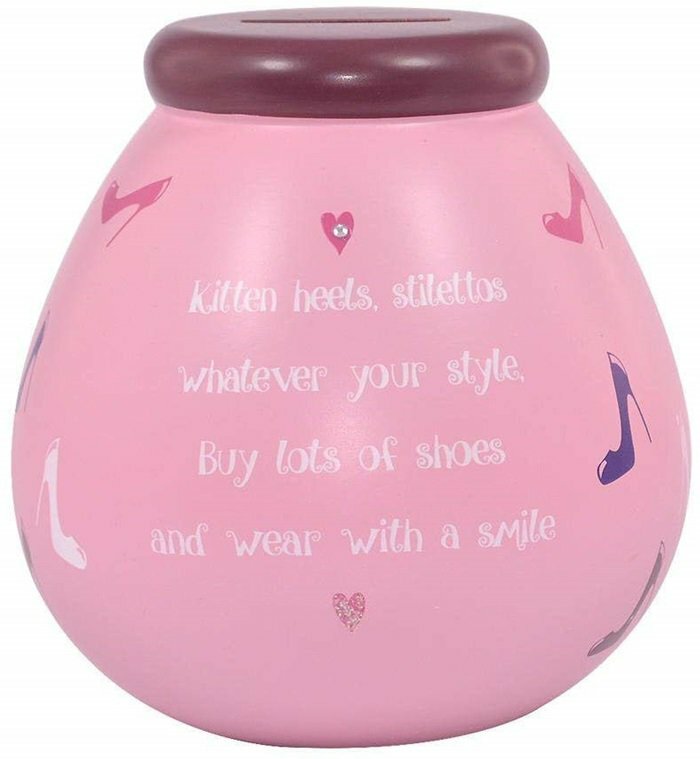 The perfect gift for a shoe lover, this piggy bank is made from beautiful glazed ceramic with a high gloss finish. The design is printed on both sides. 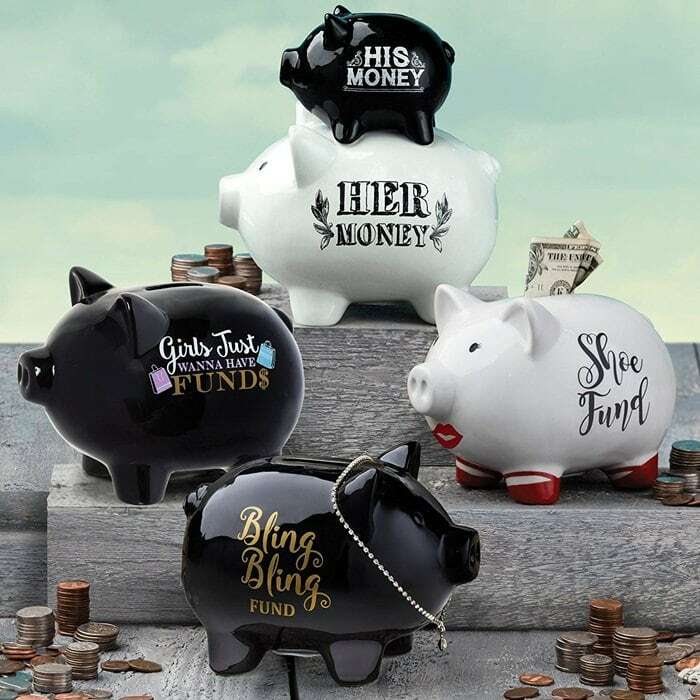 This versatile coin bank comes in a gift box and can be used to store small change, tiny candles, or even office supplies! 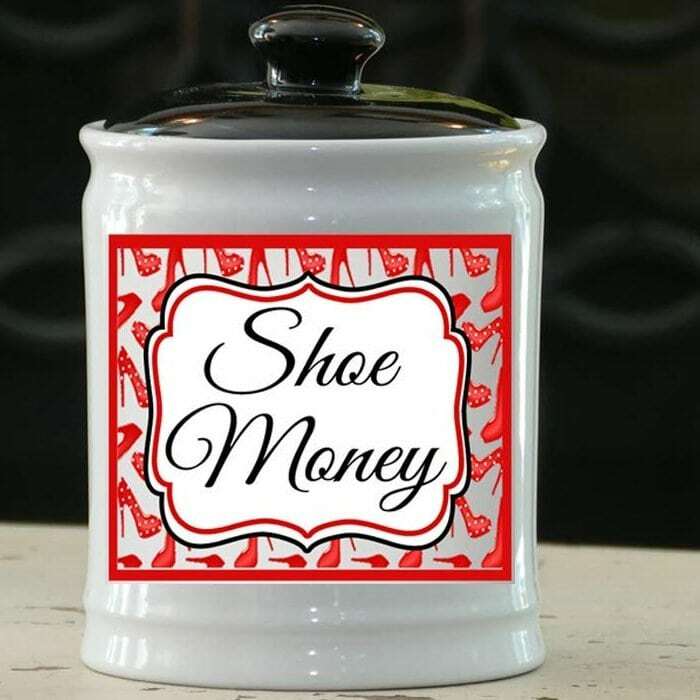 Money pots are great for saving coins and dollar bills for shoes. Want to know why? You can’t remove the cash without first breaking the pot! 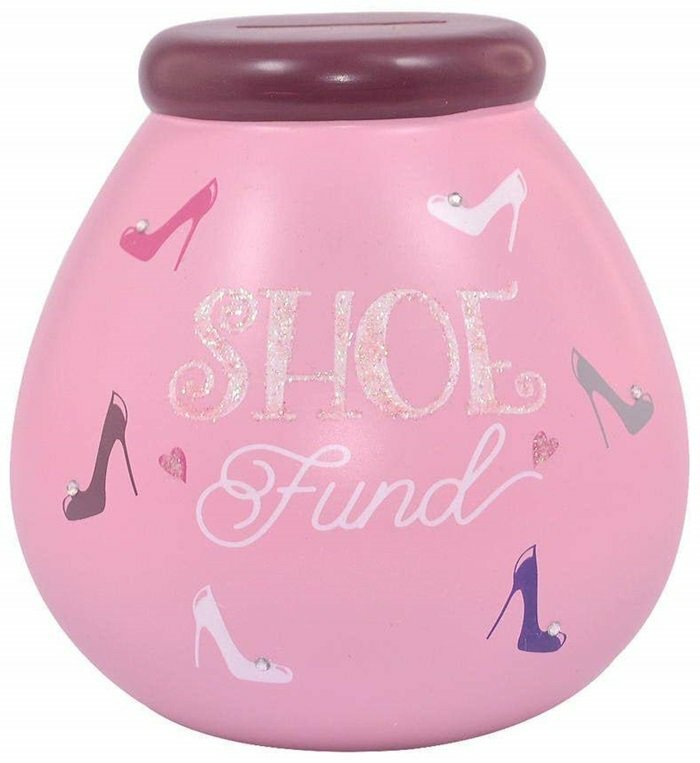 Decorated with images of high heels, the ceramic money box bears the motto ‘Shoe fund’ on the front and has a cute little rhyme on the back.